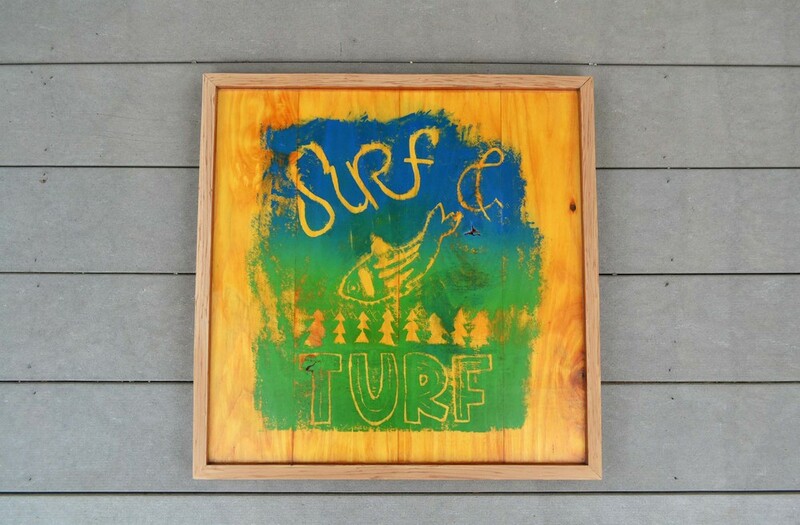 One brother owns a landscaping business, the other loves to surf in his free time. They both love fishing and together they own the Surf & Turf, a beach house in Maine. This hand-carved, printed, and mounted sign hangs as a welcome to friends and family.